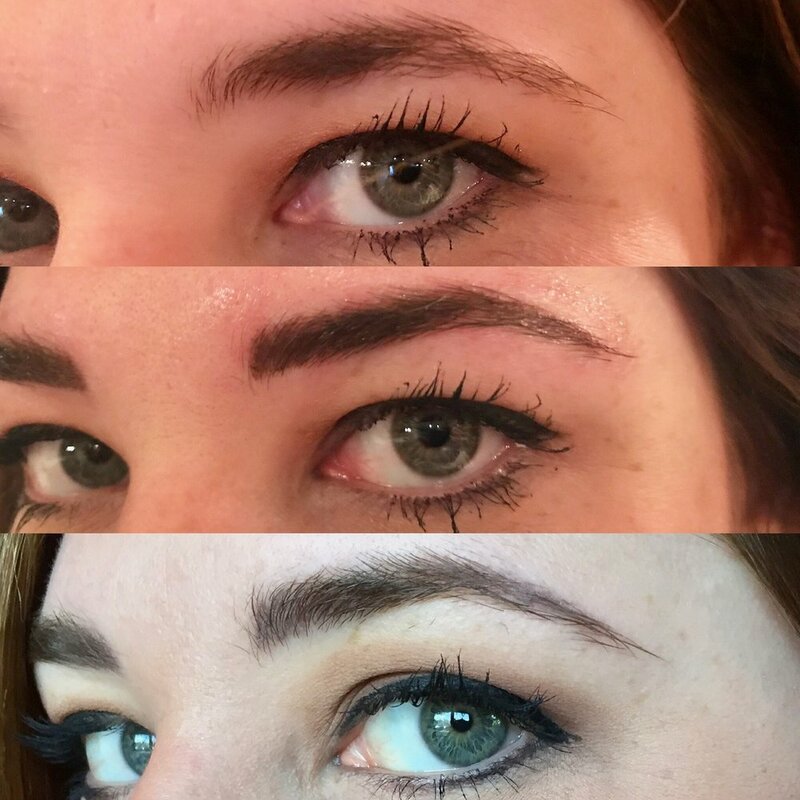 There are a variety of reasons to have permanent makeup services done - i.e. alopecia, pre-chemo, poor eyesight, etc. Whatever your cause, schedule a 30 minute consultation with our Permanent Makeup Specialist. You will discuss which procedure(s) you are interested in, along with the color, shape, etc. that you prefer. After your consultation, an exact price quote and appointment time for your application will be given to you. - It is advised not to make social plans for the same day of your procedure. Sensitive areas may swell or redden and lips may appear "crusty" for up to one week. - Please wear makeup to the procedure so the technician can see how you like to wear every day. If you are having a lip or brow procedure please bring your favorite pencils. - If unwanted hair is normally removed in the area to be treated, by waxing to tweezing, the hair removal should be done at least 24 hours prior to your procedure. Electrolysis should not be done within 5 days of the procedure. Do NOT resume any method of hair removal for at least a week after the procedure. - If you normally tint your lashes or brows please refrain from doing so for at least 48 hours prior to your procedure and do not resume for one week following the procedure. - If you wear contact lenses and are having eyeliner performed, do NOT wear lenses to your appointment and wait until the day after your procedure to replace them. - If you are having an eyeliner procedure, as a safety precaution due to swelling or watery eyes, we recommend that you have someone available that can drive you home if necessary. - If you are having a lip procedure and are prone to cold sores, fever blisters, or mouth ulcers, this procedure is likely to reactivate the problem. It is recommended that you take an oral antiviral medicine such as Valtrex or Zovirax 24 to 48 hours prior to the procedure. - Do NOT use aspirin or ibuprofen for 7 days prior to your procedure. Immediately following procedure apply ice to treated area for 10-30 minutes to help reduce swelling and aide in the healing process. - Apply antibiotic ointment sparingly twice a day for 7 days, using a clean cotton swab; NOT fingers. - Do NOT rub or pick at the epithelial crust, allow it to flake off on its own. There should be absolutely NO scrubbing, cleansing creams, or chemicals used on area. You may rinse with water and lightly pat dry. Do not expose the treated area to full pressure of water in the shower. - Do NOT soak in bath, swimming pool, or hot tub. Do NOT swim in fresh, salt, or chlorinated pool water. - Do NOT expose treated area to sun. - Use a sunscreen after the procedure area has healed to prevent fading of pigment color. - Do NOT use mascara or an eyelash curler for 7 days post procedure. Purchase new for when you resume use, the old may contain bacteria. - If you are a blood donor, you cannot donate blood for 1 year following your procedure. (Per American Red Cross) - Use sterile bandages and dressings when necessary. At the first sign of INFECTION, ADVERSE REACTION, or ALLERGIC REACTION to any procedure, you MUST notify Studio Booth, your technician, and your health care practitioner. Failure to follow post-treatment instructions may cause loss of pigment, discoloration, or infection. Remember, colors appear brighter and more sharply defined immediately following the procedure. As the healing progresses, color will soften. As healing progresses, coloration will soften. Touch-up procedures may or may not be necessary. A touch-up procedure should be made 30-60 days following the application. Final results cannot be determined until healing process is complete, which could take up to 6 weeks. Additional fees will apply for touch-ups made after the 60 days. Permanent cosmetics may require additional touch-ups in the future due to color change or gradual fading. This is normal with cosmetic tattooing. If necessary, an appointment for a touch-up can be made.